Discovering Nonviolent Communication helped me be a better Financial Adviser. The podcast covers how Nonviolent Communication (NVC) has been invaluable to me being of greater contribution to my clients as a financial adviser. A focus on client needs In the podcast, I talk about how I believe it is important to a client (& humans in general) to feel seen, to be heard and hear for the deeper meaning behind words; a focus on the client's problems & potential solutions rather than on the adviser and their life stories. NVC Consciousness I also talk about how the consciousness of NVC as a tool to aid understanding is more important than a tool to manage or communicate with. NVC supports us to see and be ourselves more authentically and this is invaluable in interacting with clients. Also, the practise and commitment to internalise the principles and commitments of NVC over the years has led me to to be noticeably more present and be more relaxed physically, which is helpful in client meetings. Moments of faltering I also talk about a client interaction when I have not been as successful at embodying these skills and lost my balance in a meeting. Description and link to Podcast In this episode 2plan Wealth Management IFA Cleona Lira sits down with Ian Horne and Ollie Smith to explain how discovering non-violent communication enhanced her relationship with clients. The podcast is available on Itunes under 'Planning People'. Link to the podcast via SoundCloud. Hope you enjoy listening- there are good sprinklings of humour throughout the podcast. I made my radio debut in July this year and I was invited back again to speak about women, money and financial advice. They must have thought I was okay the first time; I was of course delighted to be invited back. The radio station is called Share Radio, a brand new radio station designed to help you through the money maze. First of all, what does a financial adviser do? What about the cost of advice – how do advisers charge? (Hourly fee/ set fee)? Obviously the cost of advice will vary from firm to firm – but how much could you pay for advice? What can make advice more expensive (location of office, how well qualified adviser is, professional indemnity insurance). How do you pay for advice? Do you normally hand over a cheque or make an on-line payment or are there other options? How do you find out if you are being charged a fair rate or are being overcharged? What questions should someone ask an adviser before they sign up with them? Guess what? 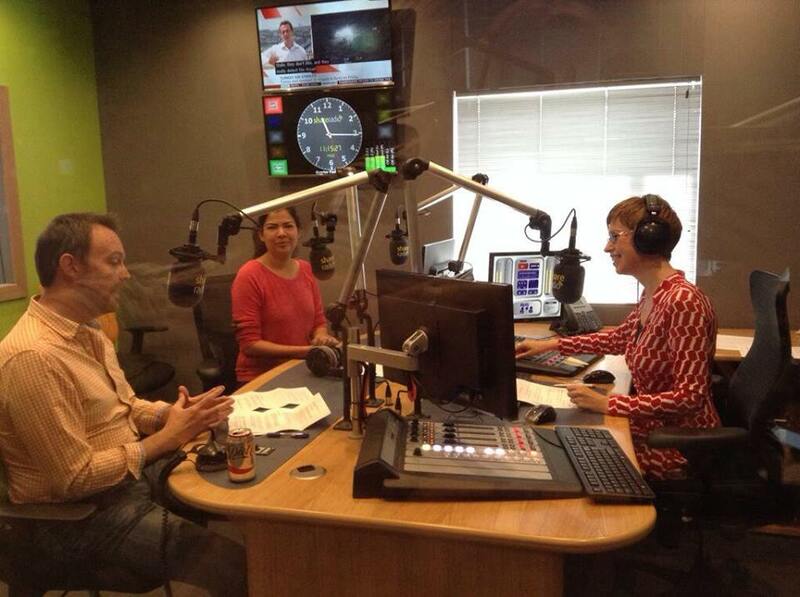 I made it to a radio show where the conversation focused around investing for income, dividend tax and dividends. This was with Share Radio, a brand new radio station designed to help you through the money maze. Last I had ever spoken on radio was at the age of 7. I was super nervous and so I kept my answers short & sweet. It was a great experience, the people at Share Radio were lovely and I am glad I said yes even though I was terrified of being asked questions 'live'. Mind you, this is no different than when my clients ask me questions during interviews, reminded my dear hubby and as I thought of it that way, it did make sense. Click on this pod cast link if you care to hear. The Chancellor, George Osborne, called the current dividend tax regime a 'very complex and archaic system'. 30.6% for those paying the additional 45p income tax rate. According to the Chancellor the change, coupled with the new personal allowance (£11,000) and our new personal savings allowance (£1,000 for basic rate taxpayers, £500 for higher rate taxpayers) means that from April 2016 – on top of the New ISA – you will be able to receive up to £17,000 of income a year tax free. This is pretty great news to those relying on an income in retirement. Not so great news for limited company freelancers, contractors and small businesses who use the low salary and dividend strategy of profit extraction (or, in fact simply take any dividends from their company). Generally, going forward, incorporation will be more about the non tax benefits. How can I financially plan better for this? If you have a spouse it is more important than ever to consider if there are income splitting opportunities;look to spread taxable portfolios between yourselves to make the most of each of your dividend allowances, personal allowances and basic rate tax bands. Look at holding your investments within tax efficient wrappers such as ISAs and SIPPs. If you have any holdings outside of these vehicles, consider transferring them. It makes sense to hold your investments which pay the highest yields in an ISA, to make your new annual dividend allowance go further. Make the most of your annual allowances - £15,240 for ISAs and £40,000 for all pension savers except the UK’s top earners. Also remember that if you missed any pension contributions for the past three years these can be carried forward. Finally, if you expect to move from a higher rate taxpayer to a lower rate taxpayer, which is often the case when you retire, it’s worth looking into deferring your dividend payments until when lower rates of tax will be paid.